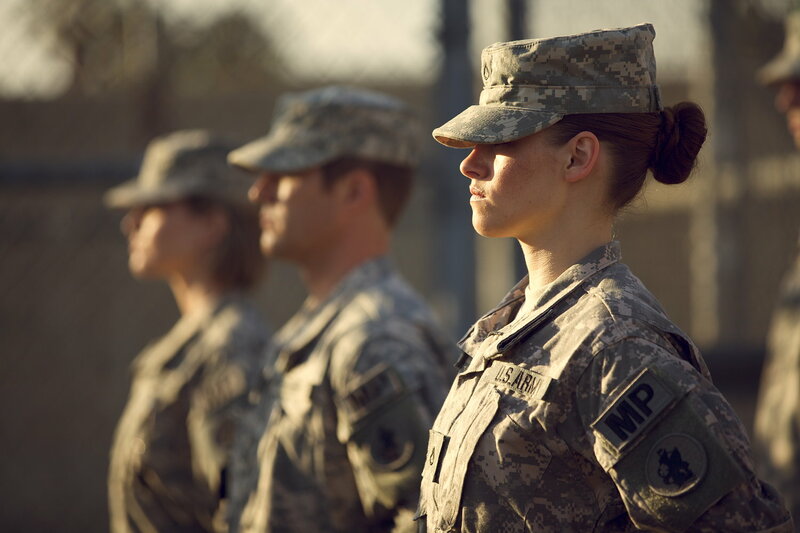 Peter Sattler’s debut feature Camp X-Ray sees Kristen Stewart’s fresh army recruit stationed as a guard at Guantanamo Bay confronted by the uncertainty of guilt and innocence when she strikes up an unusual friendship with Payman Maadi’s charismatic detainee. We sat down with Sattler at the London Film Festival to discuss how his background in numerous below the line roles prepared him for the jump to the director’s chair and the tricky conundrum of maintaining an audience’s interest in a movie which at its core is about monotony. A young woman joins the military to be part of something bigger than herself and her small town roots, but ends up as a rookie guard at Guantanamo Bay. Her mission is far from black and white, as she is surrounded by hostile jihadists and aggressive male squad mates. When she strikes up an unusual friendship with one of the detainees, both of their worlds are forever shifted. When you’re making a small independent film, time is currency & you have to pick the most important things for the film.